Ice cream in December? Yes, please! 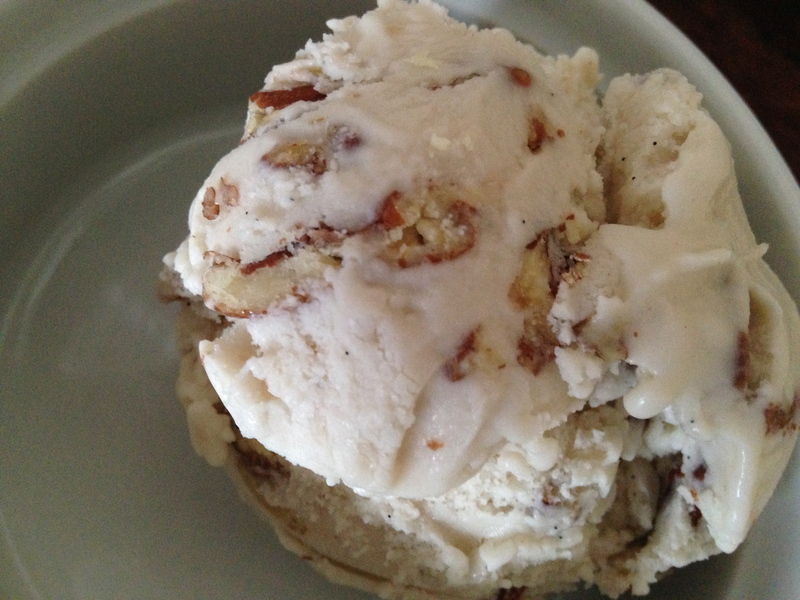 My husband requested maple pecan. Voila! Combine the coconut milk, maple syrup, and brown sugar in a bowl. Scrape the seeds from the vanilla bean and add to the mixture. Lastly, add the coarse sea salt and whisk together. Refrigerator for at least 2 hours. Chop the pecans and toast in a 350 oven for 7 to 10 minutes. Make sure to check them so they don’t burn! Pour the coconut milk mixture into the ice cream maker and churn for 10 minutes. With two minutes left, add the pecans. When combined, place into a freezer safe container and freeze. Enjoy! Loving maple everything right now! Yum!